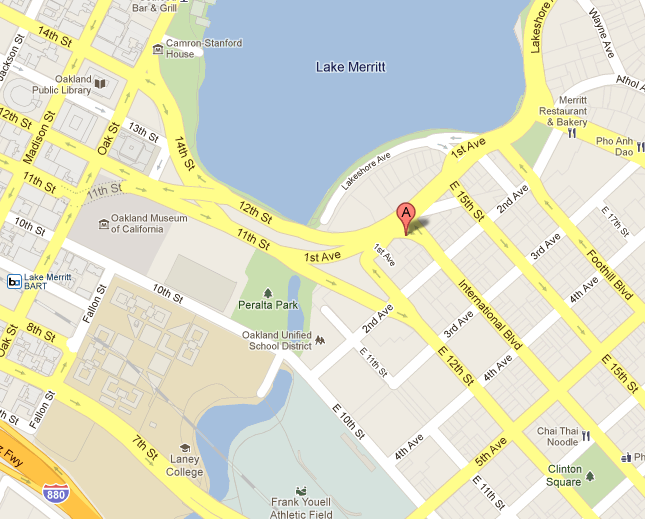 BART: Exit at the Lake Merrit station, walk northeast past Laney College to the lake, then east to the corner of International and 1st. BUS: The 14, 18, 26, 40, and 618 bus lines all stop directly across the street from the dojo. Please visit the AC Transit website for more information.